There's nothing better than fresh, homemade applesauce. And with so many local apples in our grocery stores, it makes perfect sense. Making applesauce at home is actually very easy. Just 2 ingredients… apples and water. 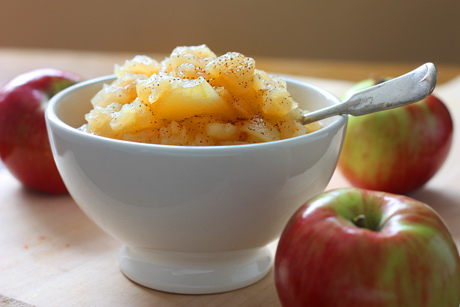 Read this recipe to discover just how great homemade applesauce is. You may never buy applesauce in a store again. First, peel the apples and cut them into slices. Remove the core and seeds. Next, put the apple slices into a large pot. Add water. Now, cook the apples on the stovetop for about 1 hour. Finally, use a strainer, a masher or a blender to transform your cooked apples into applesauce. Now you know how to make homemade APPLESAUCE! It's a tasty, sugar-free, waste-free snack! Take it to school in a reusable container. And don’t forget your spoon. Today is your lucky day! I'm going to share my world-famous chocolate chip cookie recipe with you! 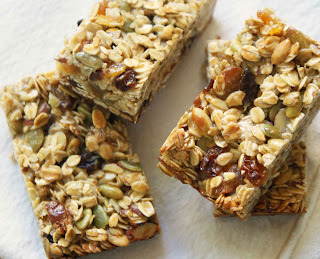 I’m doing so to encourage you and your family to make more homemade snacks and buy less packaged snacks. It’s a simple way you can reduce your waste and reduce your impact on the environment. So, what are you waiting for… it's time to bake!!! Get the oven ready. 300ºF. Go ahead, grab a large bowl and add the butter and sugars. Mix them up. Ok, you’re ready to add the baking soda, salt and flour. Time to mix it all together. Now, here's the secret to soft cookies. Transfer the cookies into a container right away. Layer them with parchment paper. Put the lid on the container to keep the cookies moist and chewy. There you go. You’re a master chef in the making. Share your cookie treasure with your family and friends. Oh, and don’t forget to save one for your teacher.